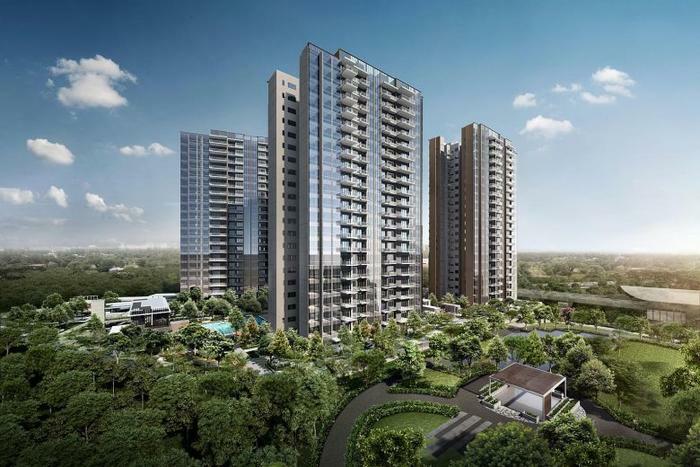 SINGAPOREANS thronging the weekend launch of Parc Botannia snapped up some 230 units of the Sengkang 99-year leasehold condominium over the weekend. The average selling price was S$1,270 per square foot. Lee Sze Hao, chief executive officer of Sing Holdings, told The Business Times that the initial plan was to release 250 of the 735 units in the development for sale. But better-than-expected demand led to about 50 more units being released, he said. Buyers were mostly locals. "There was a good mix of strong demand for homes and investment. Given the unique features and strong attributes of Parc Botannia, we are confident that the sales momentum will continue." Parc Botannia is targeted to be completed by end-2021. It will be built by a 70:30 joint venture between Sing Holdings and Wee Hur. They had clinched the site in a state tender in September last year, with a bid of S$287.1 million, or about S$517 per square foot per plot ratio (psf ppr). The project offers a range of one to five-bedroom apartments with sizes spanning 431 sq ft to 1,679 sq ft. It is located next to the Thanggam LRT station, a few stops away from the Sengkang MRT station. The food street of Jalan Kayu is nearby, along with Seletar Mall. Mr Lee said that the most popular units were one-bedroom, two-bedroom and four-bedroom units. More than half of the 193 one-bedders in the entire development have been sold. They started from S$548,000. He said he was pleasantly surprised at the performance of the four-bedroom units, which started from S$1.3 million and ranged from 1,130 to 1,507 sq ft.
About half of the 63 four-bedroom units in the entire development have been sold.